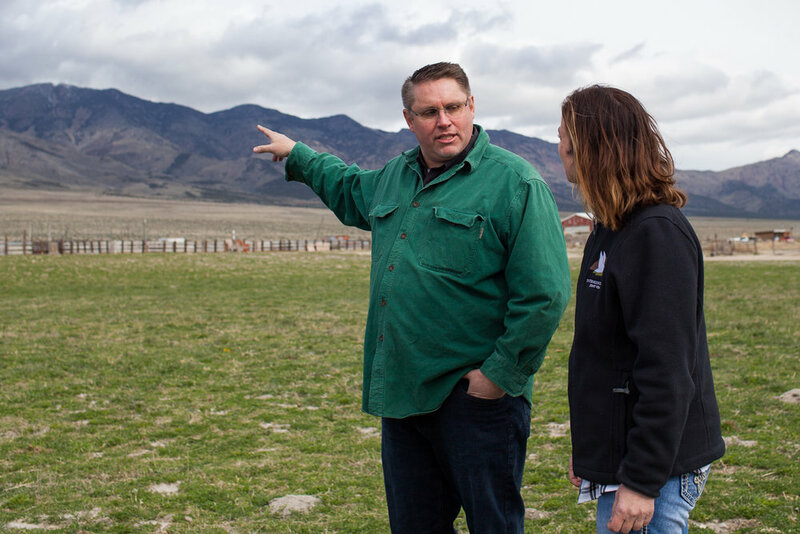 This story is brought to you by the partnership between the Intermountain West Joint Venture and the Bureau of Land Management as part of a series highlighting local success stories and what made them possible. 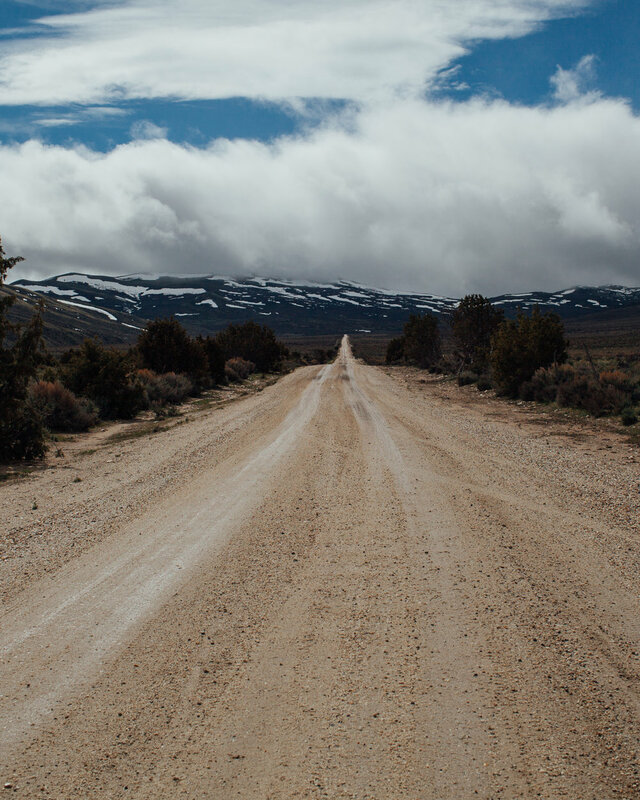 Northwestern Utah is about as remote and rugged as you get in sagebrush country. Communities in West Box Elder have seen significant population loss over the past century, accompanied by a decrease of available public services. Working, healthy sagebrush landscapes can support communities, ranchers and their families, and provide society with valuable services. Public lands provide value for grazing, wildlife, and recreation opportunities—all central to the local economy and keeping families together and in business. — Diane Tanner, West Box Elder County resident and rancher. Here, the interwoven nature of public and private land management plays a large role in motivating people to work together. Local partners agreed that tackling invasive species, including conifer encroachment, and the spread of cheatgrass, through a proactive, cooperative management approach was a priority. The threat of federally listing the sage grouse acted as a catalyst for local conservation coordination, bringing money and interest to accomplish common goals. The community organized to remove conifers in areas of encroachment, and restore wet mesic meadows. 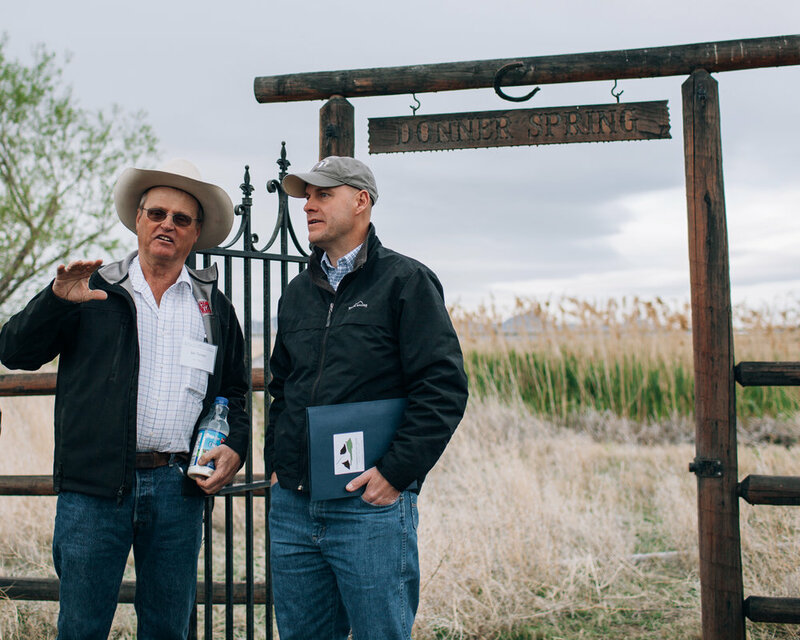 These community-driven restoration efforts are improving rangeland health on private lands, and now they are expanding these projects onto public lands. The resolve of the local community and their partners to address the challenges to the working landscape is strong and enduring. 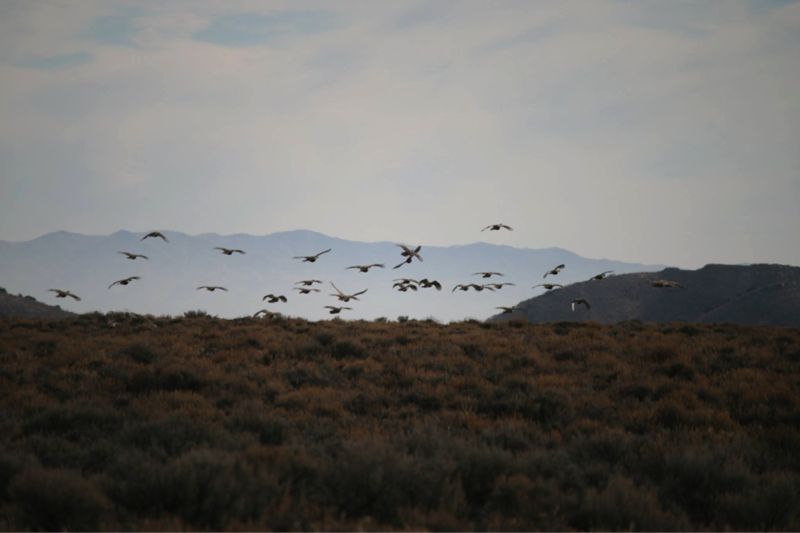 Over two decades ago the Box Elder Adaptive Management Local Working Group began meeting to develop and implement voluntary strategies to conserve sage grouse and address other issues facing working sagebrush landscapes. In 2011, the West Box Elder Coordinated Resources Management Committee (CRM) emerged from the previous working group’s efforts to further coordinate the different resource management activities by integrating local landowner’s knowledge about the area and community needs with multiple-agencies’ resources, mandates, and expertise. The West Box Elder CRM identified the need for increased capacity to implement projects, so they supported the founding of the Sagebrush Ecosystem Alliance (SEA) in partnership with the Bureau of Land Management, Intermountain West Joint Venture, Utah State University Extension, and other partners. The SEA is now a 1.1-million acre effort focused in West Box Elder County, with the potential to expand across public-private boundaries. It provides technical and partnership assistance to implement conservation practices that benefit the sagebrush. This primarily includes restoring wet meadows, controlling invading conifers, reducing fire risk and invasive species, and coordinating the planning and implementation of appropriate grazing practices and range structural improvements, among other projects. This builds on decades of private landowner leadership, conservation, and strong relationships they worked to establish with their neighbors, across fences and agency organizations. To organize and champion the SEA, a landscape coordinator has been hired. 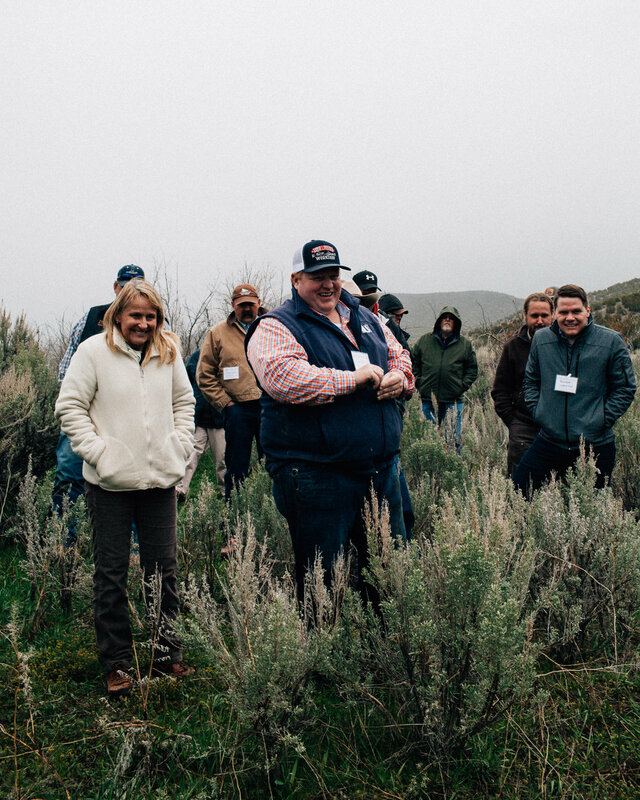 The SEA Coordinator is a member of this area’s community and works with the West Box Elder CRM to continue to bring together a coalition of diverse partners with the shared vision of sustaining the sagebrush ecosystem. This individual engages and coordinates with BLM staff, private landowners, and cooperating agencies on federal land analyses for projects on public lands, to support more streamlined and effective implementation across ownership boundaries. A major focus of the CRM has been to use science to guide management. The science showed that management projects designed to remove conifer encroachment from sagebrush communities at landscape-scales resulted in the greatest conservation benefit. Since 2006, partners have removed over 20,000 acres of conifer encroachment here. Research by Utah State University validated this landscape strategy. These cumulative efforts have increased sage grouse sagebrush habitats and resulted in improved nesting and brood success. Ongoing efforts by the university will also provide important monitoring information on the effectiveness of land management activities such as fuel breaks, beaver dam analogues, and wet meadows restorations. See a map of stories about partnerships in action here.